The Christmas season is coming upon us and we are in the makings of putting a Christmas program together for kids and adults to participate in. 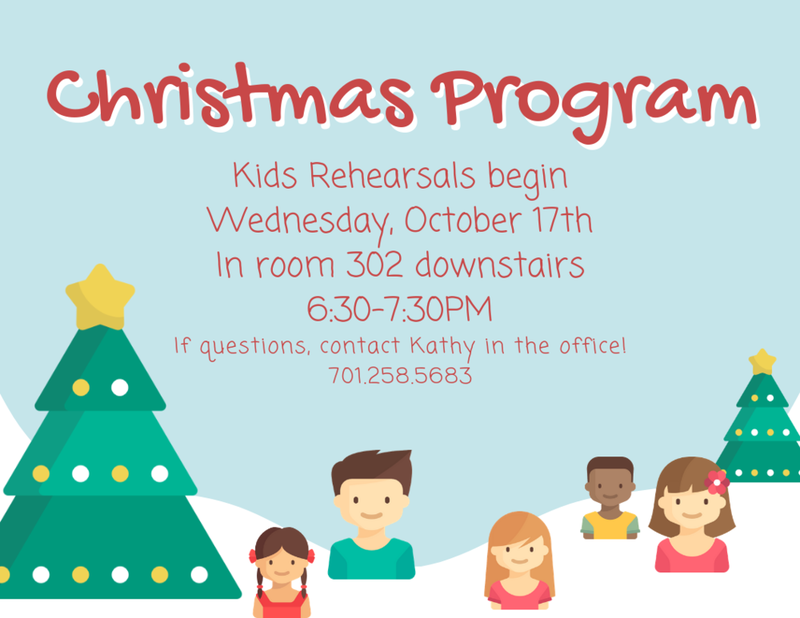 If you have children that would like to have a part in the Christmas program, the first practice begins on Wednesday, October 17th at 6:30pm in room 302, which is downstairs. If you are interested in being in the choir or playing in the instrument section, the first practice will begin on Tuesday, November 6th at 6:30pm in the sanctuary. If you are interested in Tech, helping with the set, sewing or just have questions, please call the office and talk to Kathy Phillips.